Max Botticelli lives and works in Milan. He received a Degree in History and Criticism of Cinema at the University La Sapienza of Rome, His combined knowledge of theater and film enabled him to pursue his career as a Photographer and over time he discovered his field of action within the Fashion industry. From 1994, he began to work documenting the stage for the Vascello theater and opera in Rome, as well as The San Carlo in Naples and La Scala in Milan. Soon, he recognized the experimental nature of Photography and wished to explore this further. 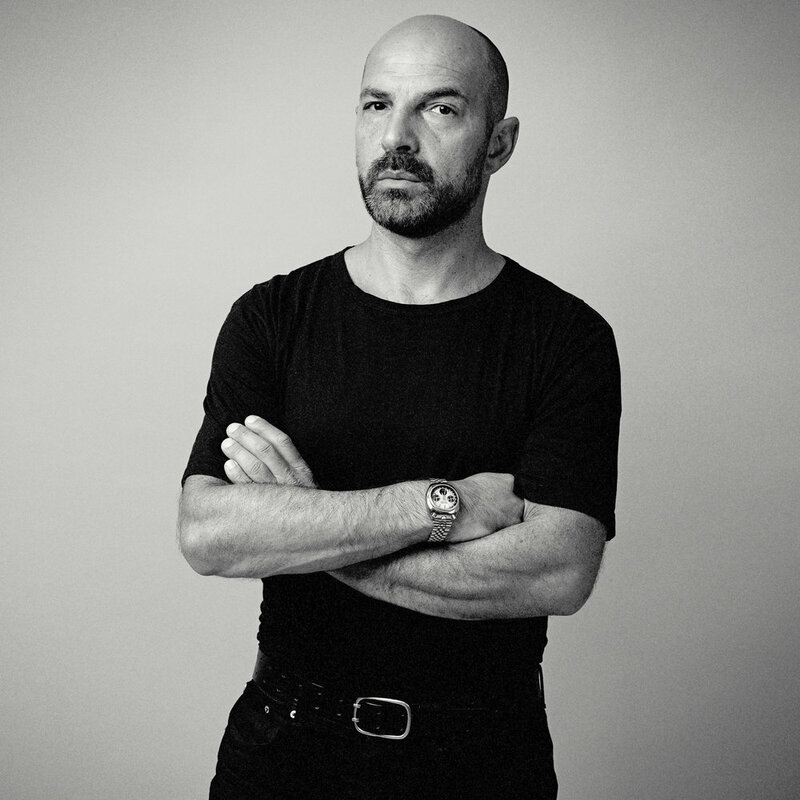 In 1999 he moved to Milan and started to work with the Pleiades agency at Superstudio specialising in fashion and advertising, where he was able to become more his own. Max Botticelli has collaborated with the likes of Giorgio Armani, Gianfranco Ferre, Iceberg, Antonio Marras, Frankie Morello, Valentino, Kenzo, Alidiomichelli, Piquadro, Albino, Monvieve and Romeo Gigli to name a few. In his research it is possible to identify a defined path that has led him to the realization of his personal projects and exhibitions. In 2013 he exhibited at the Fuori Salone del Mobile with a variety of projects "In a perpetual movement", where the human body becomes an abstract topos: an outstanding landscape where the details whisper its original nature and "singular / plural" in which the relationship between design , fashion and contemporary art intersect in a play of reflections and synthesis. In 2012 he enters in the agency Fisheye Milan. He collaborates with The Republic, Cosmopolitan and a number of other important Magazines including Italian Vogue and D.
Meanwhile in "Nolo" a new neighbourhood in Milan Max founded STUDIO 14 that from 2018 after collaborating with partner and Model Chanie Munn operating between London and Milan became STUDIOLUCE which was named after their daughter.